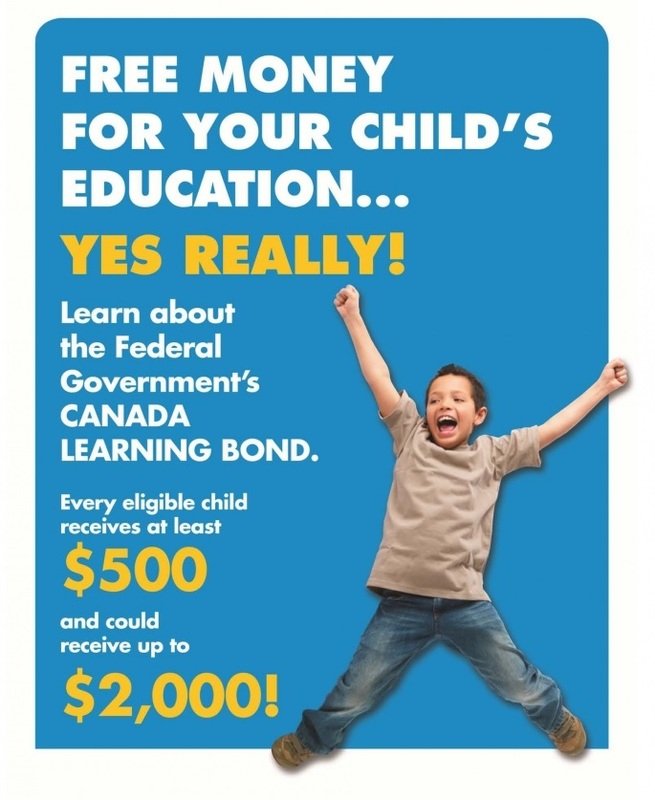 Canada Learning Bond: free money for your child's education! The Canada Learning Bond is money that the Government of Canada deposits into a Registered Education Savings Plan (RESP) to help you save for a child's education after high school. The total amount the Government deposits can be up to $2,000. Applying for and receiving the Canada Learning Bond will not affect any other benefits that you or an eligible child receives. Through the Canada Learning Bond, the Government will add money to the RESP for an eligible child every year, even if you do not add any money. This is a free program - you can sign up in under 10 minutes, over the phone. • who are from low-income families. Beginning July 1, 2017, eligibility for the Canada Learning Bond is based, in part, on the number of qualified children and the adjusted income of the primary caregiver. Prior to this, a child was eligible for the Canada Learning Bond if the primary caregiver was in receipt of the National Child Benefit Supplement for the child. How much could a child receive? A child could receive a total of up to $2,000 in a Registered Education Savings Plan (RESP) to help pay for their education after high school. This includes: $500 for the first year of eligibility; and $100 for each year they remain eligible, until the calendar year they turn 15. In addition, the Government of Canada will deposit $25 in an RESP to help cover the costs of opening the plan. Before you apply for the Canada Learning Bond on behalf of a child, you will need a Social Insurance Number (SIN) for yourself; and a SIN for the child. There is no fee to get a SIN from Service Canada, but you will need to provide certain documents, such as a birth certificate or permanent residence card. An RESP can stay open for 35 years. This means the child can still use the Canada Learning Bond (as well as any Canada Education Savings Grant and provincial education savings incentives) in the RESP if they decide to delay their studies after high school until later in life. Spread the word! Download our flyers below, or contact us at 1-866-991-0025 for hard copies to distribute.